A U.S. Navy program that uses technology developed by a Raytheon-led team to land aircraft in harsh weather has been recognized with a Department of Defense (DoD) engineering award. The Joint Precision Approach and Landing System (JPALS) Increment 1A ship system received the Systems Engineering Top 5 Programs Award for "successful implementation of systems engineering best practices resulting in program success," according to the DoD. JPALS uses GPS and two-way data links for precise area navigation and landing approaches for Navy carrier-based aircraft and helicopters. The U.S. Navy-Raytheon team "utilized solid systems engineering practices to manage requirements, identify and mitigate risk, and manage the technical baseline, while keeping the program within cost and schedule targets," according to the evaluation team. 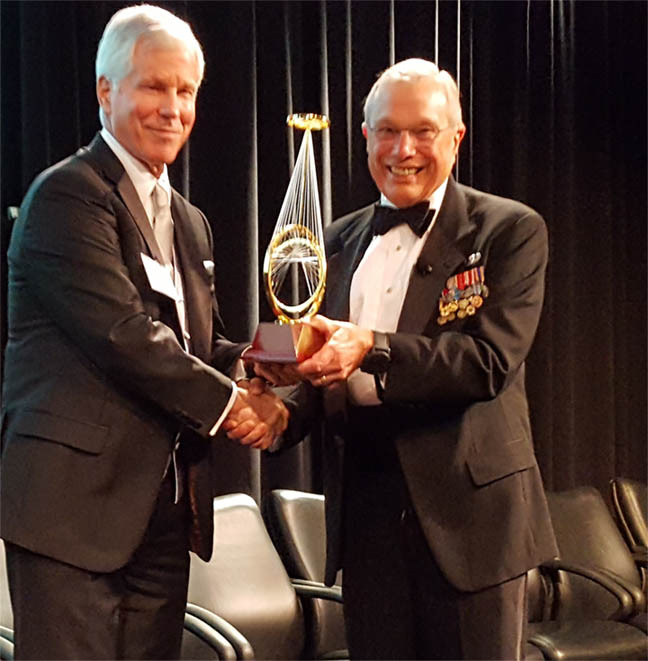 An award ceremony was held October 24, in San Diego, California, sponsored by the National Defense Industrial Association. Raytheon is currently installing JPALS on the aircraft carrier George H.W. Bush, CVN-77. Government integration of the system with other ship systems was completed in the Navy’s test facility, and flight testing began in May 2012. Shipboard testing on the carrier is planned to start as early as December. Raytheon completed development activities on time — including delivery of eight ship system engineering development models and five avionics test kits on or ahead of schedule, according to the company.